PAGHAM’S bid to end one of their worst run of forms in recent memories sees them welcome high-flying Saltdean United to Nyetimber Lane tomorrow (3pm). The Lions have had plenty to shout about in recent seasons, with free flowing football seeing the side fighting for the top spots in the SCFL Premier. At Christmas, it was business as usual for Tom Simmonds and Richie Hellen’s side. But injuries, combined with losing key personnel to other sides, have seen Pagham plummet into the bottom half of, with the Lions winning just twice since the festive break. 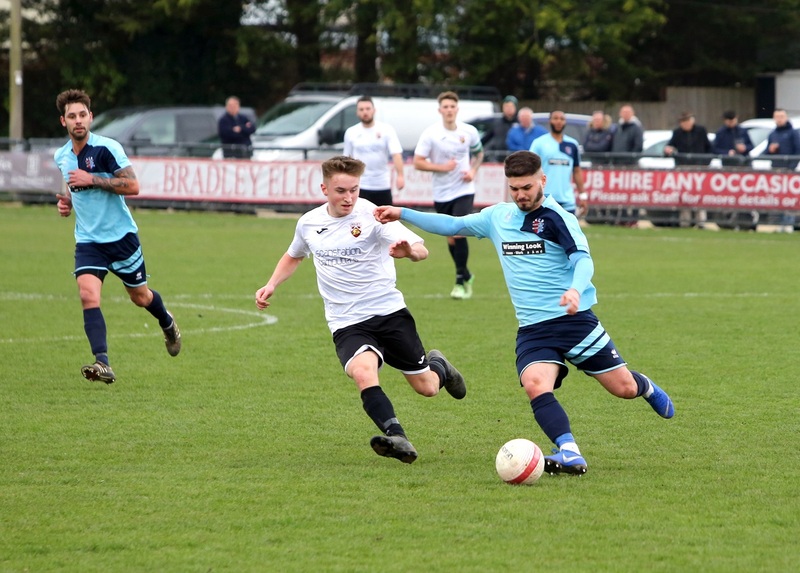 Lions thought they had secured a morale-boosting 2-2 draw against AFC Uckfield Town last weekend when Jamie Horncastle equalised with ten minutes to play. But the visitors struck twice late on, with Johan van Driel seeing red late on to compound Pagham’s woes. That loss makes it four defeats on the spin for the Lions – and next up are the Tigers of Saltdean. Sitting fifth, they have won four of their last five, meaning that Pagham’s young side will need to dig deep if they are to emerge from the battle of the big cats with all three points. In SCFL Division One, Sidlesham are seeking their first win in four to boost their hopes of a top half finish. Sids welcome second-bottom Midhurst & Easebourne to the Rec Ground tomorrow (3pm) looking to bounce back from a 1-0 loss at Storrington. Fifth-place Selsey, mean-while, will have a week off, hoping that other sides can do them a favour as they remain in the hunt for a top four spot. Blues kept up their end of the bargain last weekend, defeating Midhurst 3-2. First half goals from Lindon Miller and Ryan Morey looked to have put Daren Pearce’s side in the driving seat. But two goals for the hosts in three panic-filled minutes before the break pinned Selsey back before Miller struck again to seal the victory with 20 minutes to go. In SCFL Division Two, Bosham rounded off their campaign with a 5-1 loss at home to champions-elect Rustington. Nick Edgington scored for the Robins.